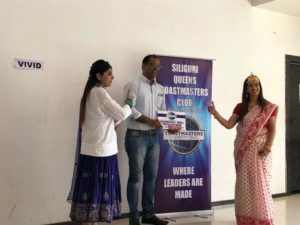 On 17th August, 2018, Siliguri Queens Toastmasters club had its 47th weekly meeting. Right after the 72nd Independence day, to keep the spirit alive, our TMOD suggested every member to represent a state. TM Priyanka was the TMOD for the day. The theme was “Unity in diversity”. 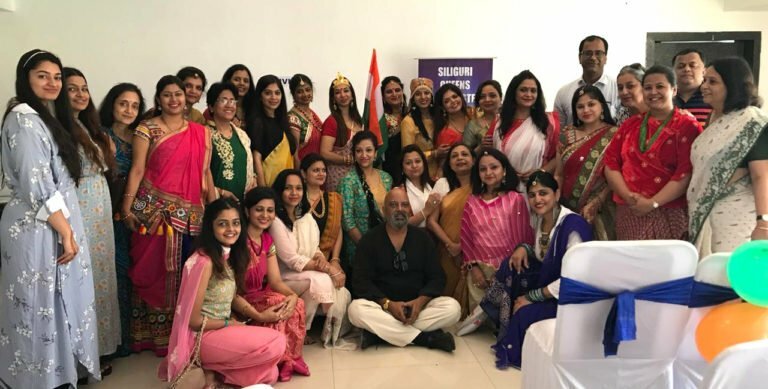 Just like our country stands proud in unity with all the diversifications, our club stands together too with ladies of different age groups coming from various backgrounds. We started the meeting sharp at twelve noon with the sound of the gong by our Sergeant At Arms- TM Ritu Mundhra. The room was filled with colour with each member representing a state. 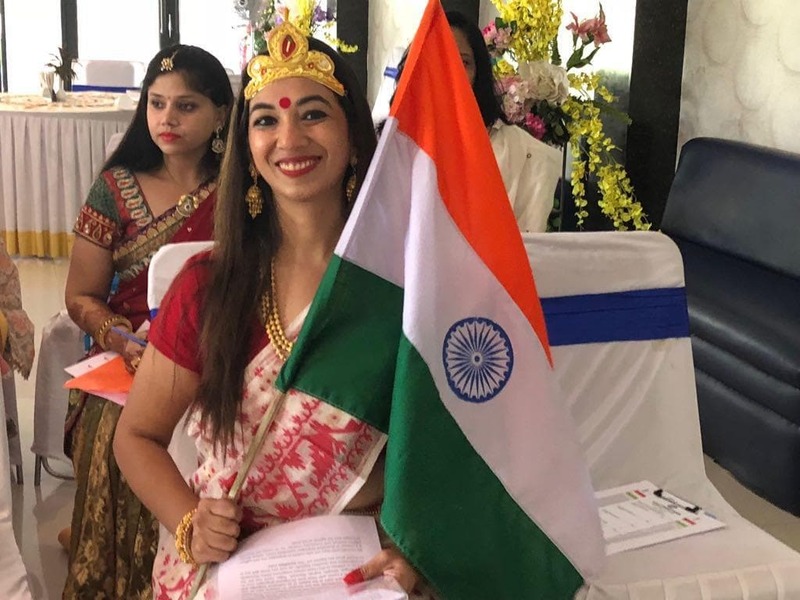 We had TM Ankita dressed up like a Kashmiri, TM Ritu representing Tamil Nadu, TM Sweta representing Sikkim and TM Bhagyashree representing Gujarat. Our TMOD was the Bharat Mata who represented the prosperity of the rich Indian culture and tradition. 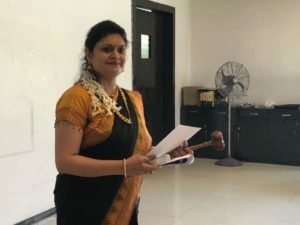 Our President -TM Dolly Singhania, commenced the meeting and welcomed the guests. 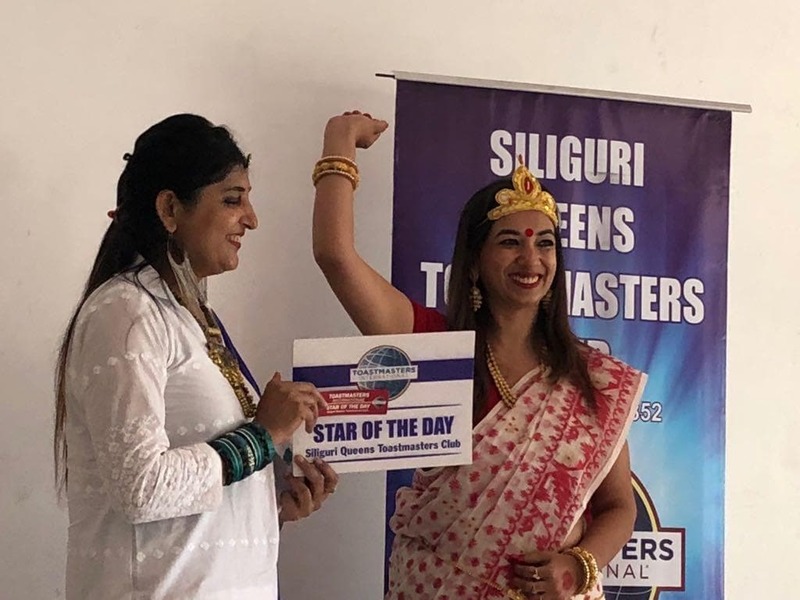 A few fellow toastmasters from the Siliguri Toastmasters club came to witness our “cultural diversity” with the same enthusiasm. The TMOD took over the session and sang a few lines of “Saare Jahan Se Acha Hindustan Humara”. She conducted the entire meeting smoothly. The role players and speakers were introduced with a unique and an apt prefix according to the state they represented. The role players did an excellent job at describing their roles and made it very easy for the first time guests to comprehend. The speakers were outstanding that day. TM Nancy started her Pathways journey with her ice breaker speech. Her speech was short and sweet yet filled with humor. TM Sweta, in her ice-breaker speech, compared her entire life to a book and it was definitely a top shelf hit. Both the speeches deserved the standing ovation they received. Our third featured speaker was our President TM Dolly, who explained her transformation in life from a negative to a positive person wonderfully. The table topic master chose topics which were in sync with the theme of the meeting. Guests and members were called upon to think on their feet. Every speaker did justice to the topics and added a lot of meaning and humor to it and the meeting wasn’t for even once uninteresting. 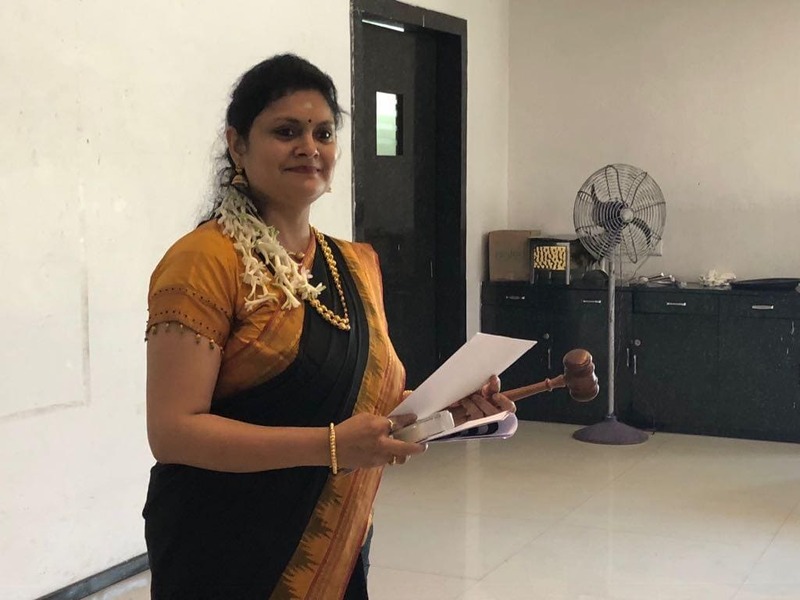 TM Rashmi Alampuria did a fair justice to her role of a General Evaluator along with her efficient team of evaluators and role players. Their reports were precise and pointed out many areas of improvement along with applauding and motivating the speakers. The meeting was stupendous. 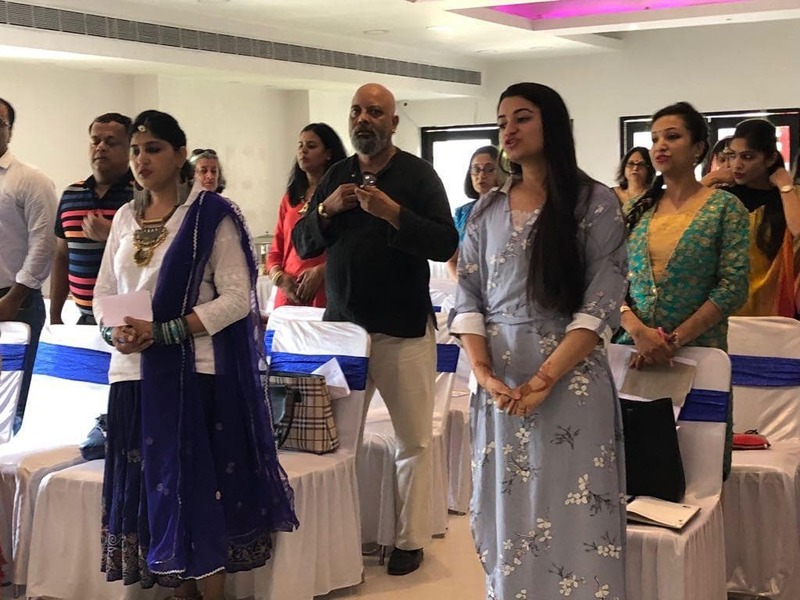 Just like the word of the day – “vivid”, it gave us vivid insights on the rich cultural history of India and also the speakers’ opinions on their country’s present situation. Toastmasters is all about gaining confidence and giving words to our thoughts. That is what the speakers did. With every session, we at Queens, are becoming better than the last. We are taking up our leadership roles better and at the end that’s what Toastmaster is all about.